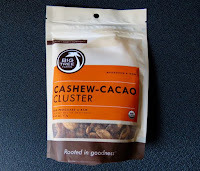 Welcome to Day #7 of Chocolate and Cashew Theme Week, and Day #1 of Cacao Nibs Theme Week. 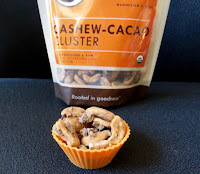 Today's crossover entry contained both cashew nuts and cacao nibs. 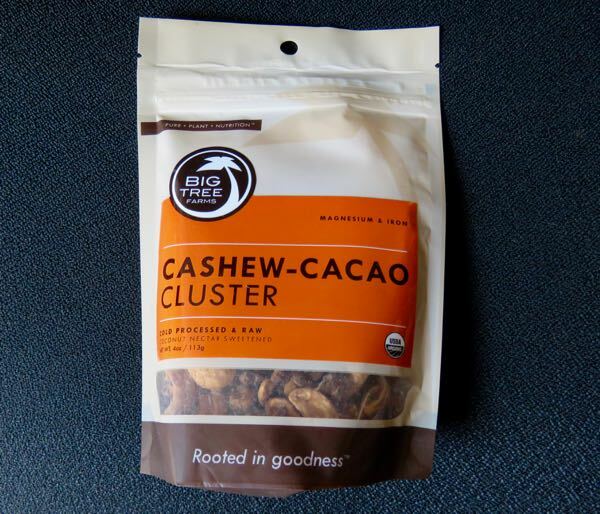 Crunchy and not too sweet, these Cashew-Cacao Cluster pieces from Big Tree Farms (Bali, Indonesia) were very lightly sweetened with coconut palm sugar and had a pleasant nutty crunch with distinctive yet smooth cacao nib flavor.